Continuing with our 2nd anniversary celebration posts, this time we share our top seven biking experiences during the period March 1, 2013 to Feb. 28, 2014. Steve is always happy when he can unload our bikes so we can actually ride them, rather than just haul them around the country. 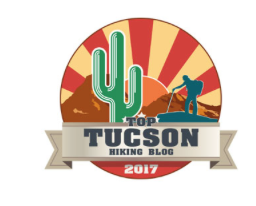 Our qualifications for these rides is the most points for: (1) the trail was nice to ride and well-maintained, and (2) the experience during the ride was memorable. The list below continues the tradition I started with last year’s top seven. 1. 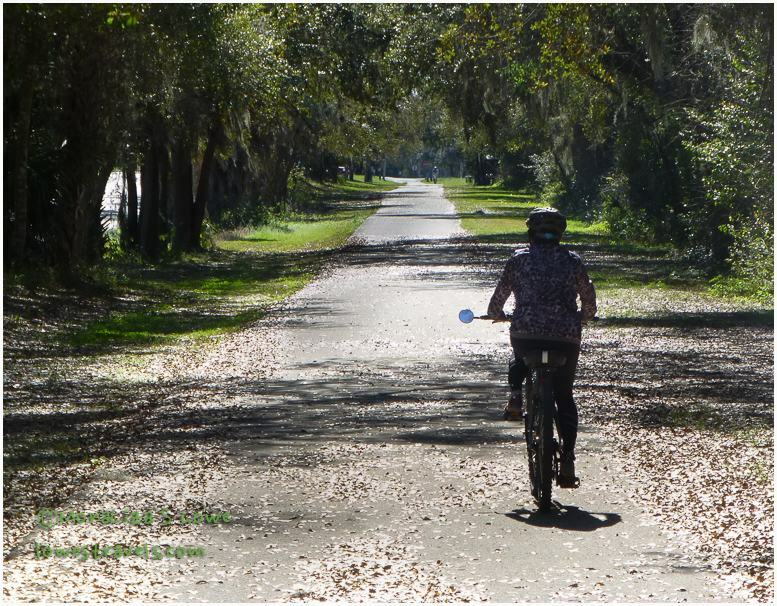 Jekyll Island Bike Path – Golden Isles, Georgia – 20 miles of diverse scenery, from biking on the beach with panoramic ocean views, traversing lush maritime forest, and cruising through the moss-draped live oak trees of the historic district. The best! 2. 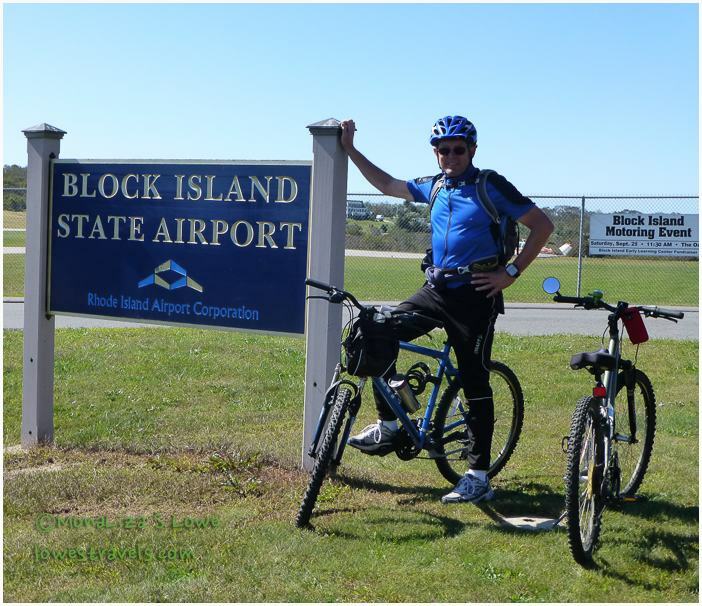 Block Island – Rhode Island – There is plenty to see while experiencing Block Island, and biking it is the best way to do it. 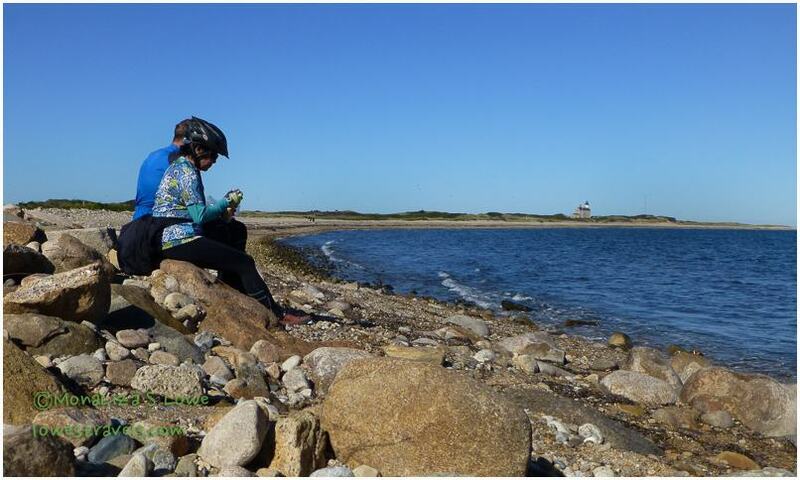 Our 20-mile ride meandered over rolling hills, a beach bluff, and a wildlife refuge – all while offering sweeping views of the Atlantic Ocean. Then we stopped for a look at the lighthouse before returning to town to check out the old and new harbors so we could select a wonderful restaurant for lunch. We took a ferry ride to get to the island and rode on the roads, sharing with automobile traffic and many other bike enthusiasts. 3. Shark Valley – Everglades National Park, Florida – This is a 15-mile scenic loop in the Everglades where a multitude of alligators and birds will wow you! Shark Valley bike path – gators ahead! 4. 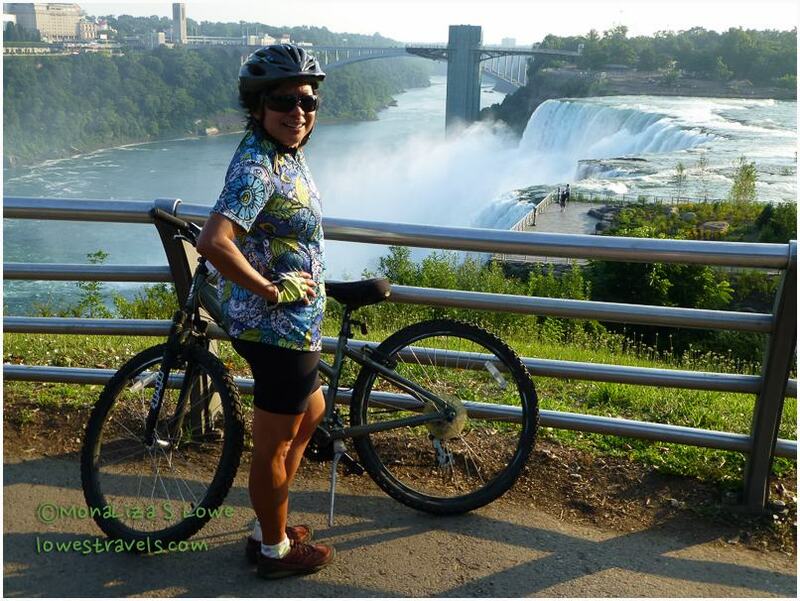 Niagara River Trail – Niagara, New York – (12 miles). Niagara (American, Bridal Veil and Horseshoe) Falls are your reward at the end of this journey – it really doesn’t get any better. The secret to this ride is to start early and avoid the crowds that flock to the falls every day. 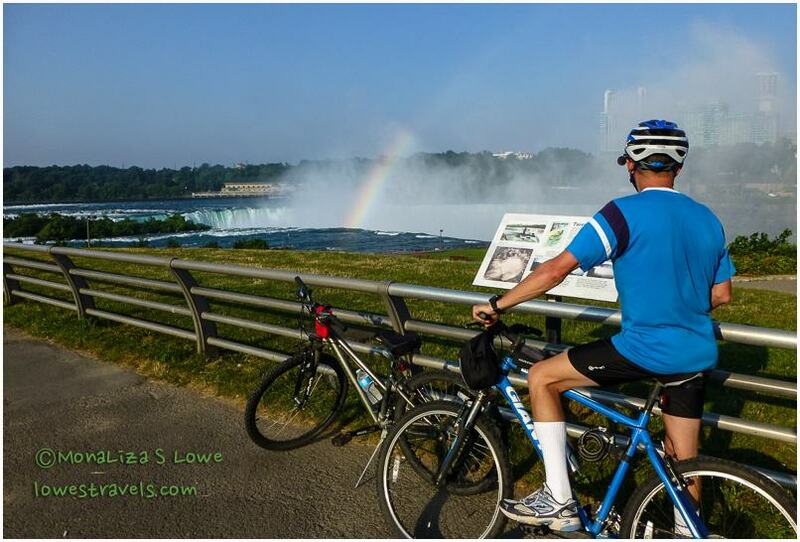 Our ride began at La Salle Waterfront Park in Niagara, then we headed past Goat Island until we reach the stunning falls. 5. Western Maryland Trail – Hancock, Maryland – We clocked 20.13 miles on this ride, and fortunately we chose the western route which was more wooded and shaded. This was one of our favorite quiet and serene rides. 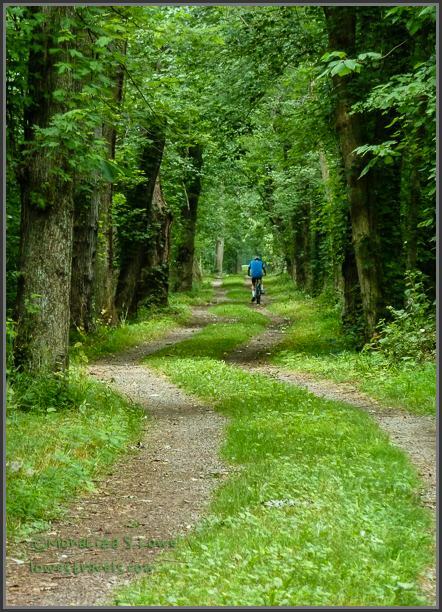 Western Maryland Rail Trail – gorgeous! 6. 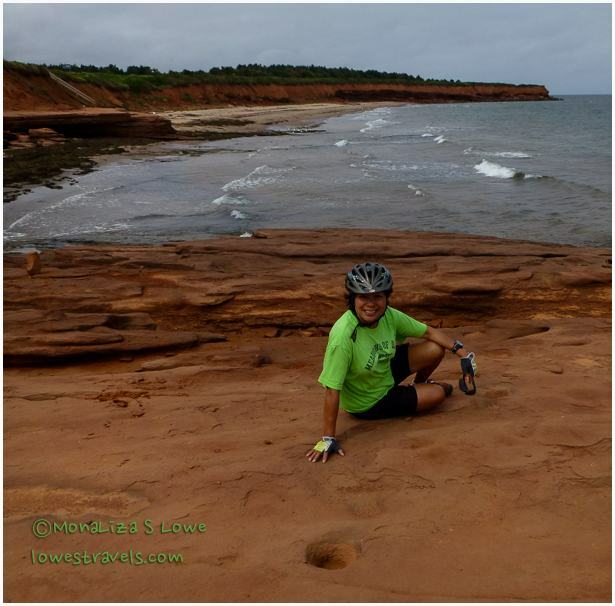 PEI National Park – Prince Edward Island, Canada – 12 miles of breathtaking landscape along PEI’s north shore, and the striking red sandstone cliffs of Cavendish made this ride one of my favorites. On this route we enjoyed a Red Fox walking along the path, a resting Bald Eagle and the cool breeze that made the ride very pleasant. I love PEI! 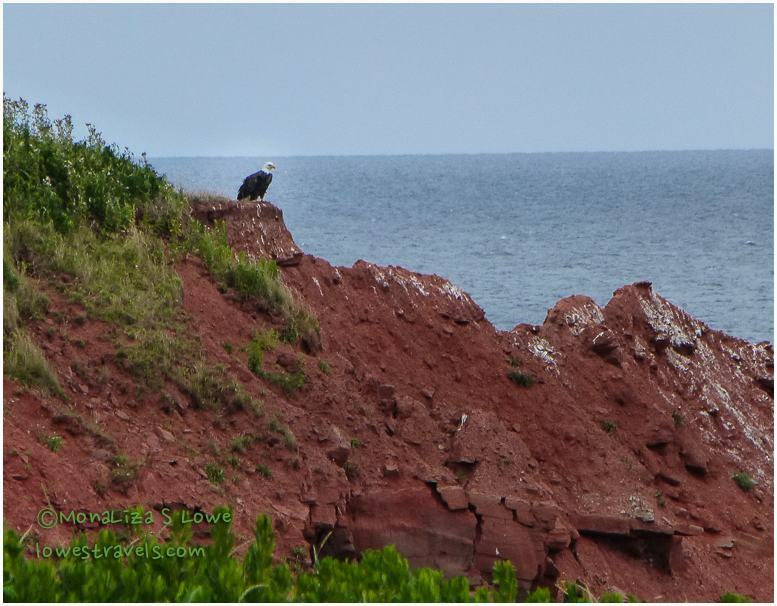 Can you spot the Bald Eagle? 7. 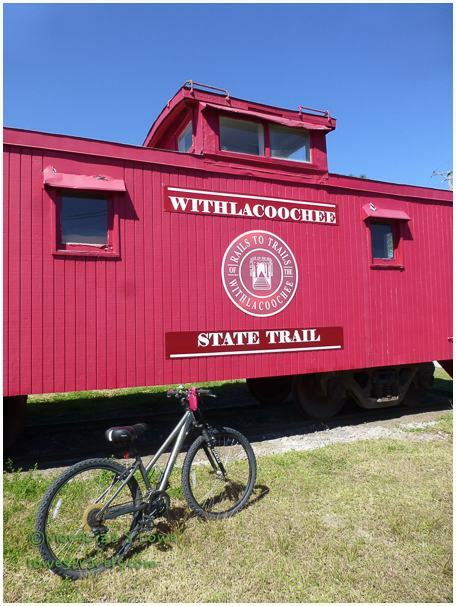 Withlacoochee State Trail – Inverness, Florida – On the very last day of our date range (2/28/14), we biked 16 miles RT on this 46-mile rail-to-trail path. What we liked on this relaxing tree-covered ride were the various shaded rest areas and a stop for fresh-squeezed orange juice at Ferris Groves – yum! How about you? Do you have a biking trail to share with us and our friends? Next up: Continuing on our celebration week – our favorite beaches. This post makes me really anxious to get our bikes unloaded and get back out on the trails! Your pictures are beautiful. One again, the waterfalls really are inviting and promising. But yeah, I remember the top one fairly well. Those unique trees definitely gave it the magical path. Can’t wait to check out some of these trails as we journey north. Great post MonaLiza! These rides all look so great. You have been to some amazing places and viewing them from the vantage point of a bike is always better. I am definitely bookmarking this for our future travel adventures. 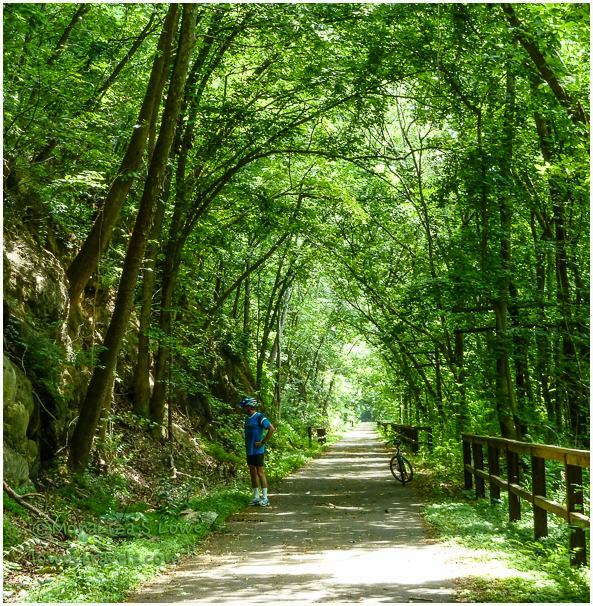 A favorite one for us to add to the list is on the New River Trail State Park, a 57-mile linear park that follows an abandoned railroad right-of-way near the Blue Ridge Parkway in Galax, Virginia. We also loved biking on the beaches and fifty miles of trails that traverse Hilton Head Island. Pam, Ill make a note of the New River Trail, in case we make it to Blue Ridge Parkway again via Smoky Mountains. Thanks. Nice bike trails you have found all over! Once again, Happy Anniversary! Thanks for taking us along on your celebration of life. I love the shots along those leafy, green tracks into the woods. I just want to see whats just ahead….. It sounds as though we enjoy the same kinds and lengths of bike rides — your bike ride on Jekyll Island looks especially gorgeous! We, too, enjoyed Shark Valley, and we’ve enjoyed biking various rails-to-trails paths in Florida. 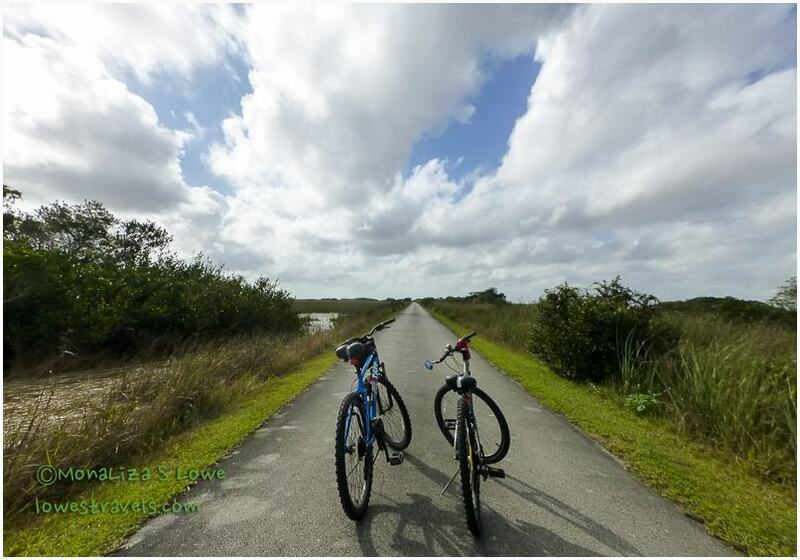 We loved biking on Sanibel Island (there are excellent dedicated bike paths), Cedar Key (little traffic and great scenery), and Lopez Island (again, little traffic and gorgeous scenery). Happy biking and thanks for sharing your favorites! It was great riding along with you. Thanks for letting me hitch a ride. Love the bald eagle shot! This is a cool post!!!! 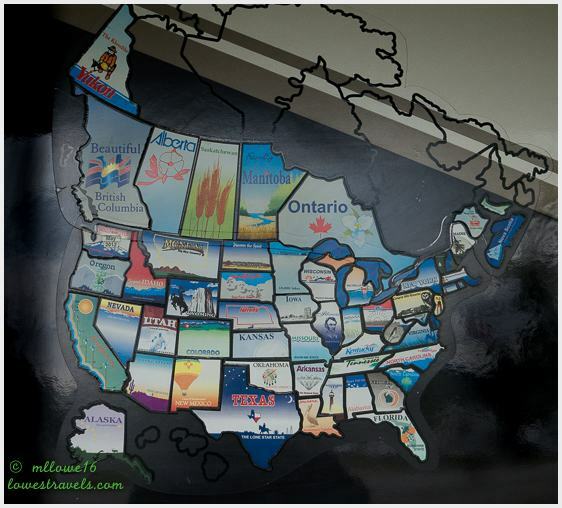 It shows just how much you guys love to travel and take in the areas you visit….. I look forward to each new adventure yawl post!!!! You certainly found some neat bike rides. I like that photo of you by the falls and the one on the red rocks (reminds me of the west).